Save on the best value outdoor toys with promo codes from Duplay, Toys R Us and All Round Fun page is the best place to visit right now because there’s a wide range of different outdoor toys on sale. Use our Toys R Us coupon code that gets you 50% off selected items and take your pick, with everything from cubby houses to Nerf guns excellent value – it’s the perfect place to help your stock for an outdoor themed birthday party, or even just a family barbeque with plenty of toys to amuse the little ones. Our picks include the Sizzlin’ Cool Meadow Cottage (was £99.99, now £49.99), the Little Tikes Milano Wooden Single Swing (was £139.99, now £69.99) and the Stats Quick Folding 3 x 2 Ft. Football Goal (was £24.99, now £12.49) – that last one being perfect to take to your local park as well as use in the back garden. Some might argue that a swimming pool is the ultimate outdoor toy. We’re not talking actual swimming pools of course, but the next best thing – a top quality paddling pool for the kids, or even one that can fit the whole family! The thing about a paddling pool is that you only realise you want one on a particularly sunny day and by the time you get around to ordering it, the sun has gone into hiding again. Unfortunately, we can’t bring you a same day paddling pool service, but we can bring the next best thing – with our All Round Fun promo code, a free next day delivery service is available, so why not get that paddling ASAP when the mood takes you? 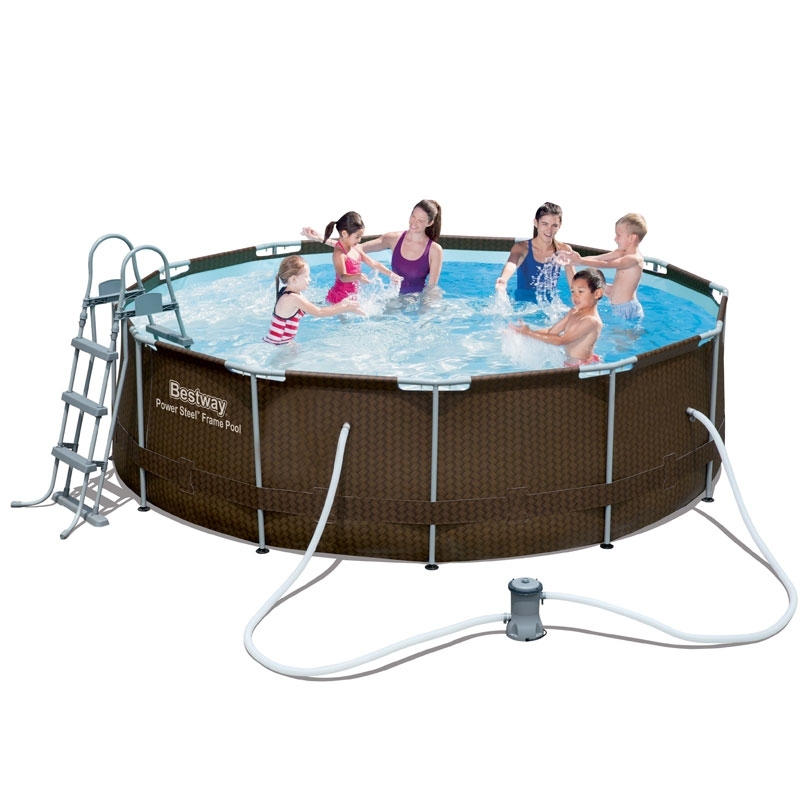 With this All Round Fun voucher code, there are pools to suit all budgets including the Bestway 12ft Rattan Frame Pool Set (£199.95) and the Bestway Splash and Play Interactive Series 3D Adventure Pool (£39.95). So say hello to the summer with our Duplay voucher codes, Toys R Us discount vouchers and All Round Fun discount codes and once you have your garden kitted out for those long sunny days ahead, you won’t regret it!